We've lusted after the noise cancelling, gesture controlled Parrot Zik headphones here at Wareable just wishing Parrot would add some connected self features so we can cover them. At CES, Parrot has done us proud. The Zik Sport headset isn't simply a sensorific version of the stylish on-ear headphones we've seen from Parrot before. That wouldn't work. 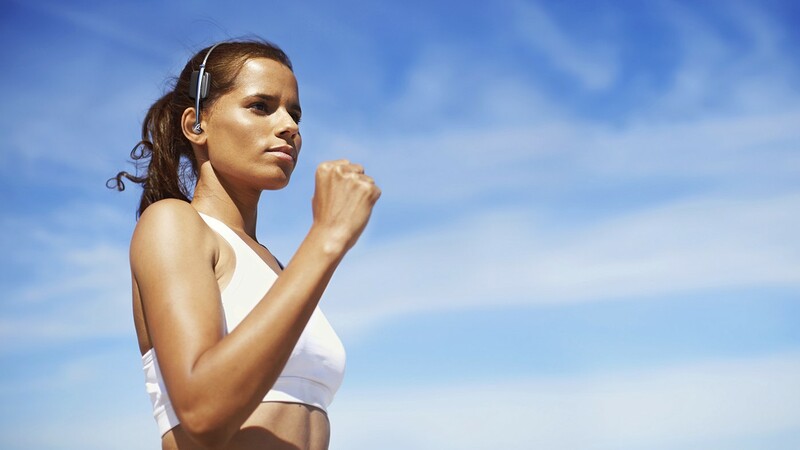 Instead the Sony Walkman meets Bluetooth-earpiece-for-robots is aimed at runners and athletes. It's wireless, with Bluetooth 4.0 tech. It looks to be lightweight enough at 75g with a headband designed to make it more comfortable to wear. It offers voice calling via microphones as well as noise cancelling which can be controlled via the companion app. But most importantly, the Zik Sport tracks your run using its 'intra-auricular biometric sensors' i.e. in your ears. These include a pedometer, heart rate monitoring (like the Jabra Sport Pulse) and also ground contact time, cadence and vertical oscillation. That means your running style can be analysed within the slick Parrot Zik Sport app. Battery life should last up to five hours, depending on usage which should be more than enough for sports headphones unless you're planning to run a marathon everyday. That does of course mean, you may not be able to use the Zik Sport as your only pair of headphones day to day. Parrot is keeping quiet on both the price and the release date of the Zik Sport but we will update this story as and when these details emerge. As a guide, the Jabra Sports Pulse costs £200 and the Zik 2.0s from around £250.